Are you a new Nose Secret user, excited about the nose job alternative? Are you struggling with your decision, trying to figure out which size to get? The size of your nose isn’t standard. The shape, how the nostrils are formed, what the bridge looks like and a dozen other factors can all affect what size Nose Secret will work for you. That’s why we created Nose Secret kits, for new users who are just trying out our nose job alternative for the first time. We want your experience to be fantastic, so we include three Nose Secret pairs in each kit. 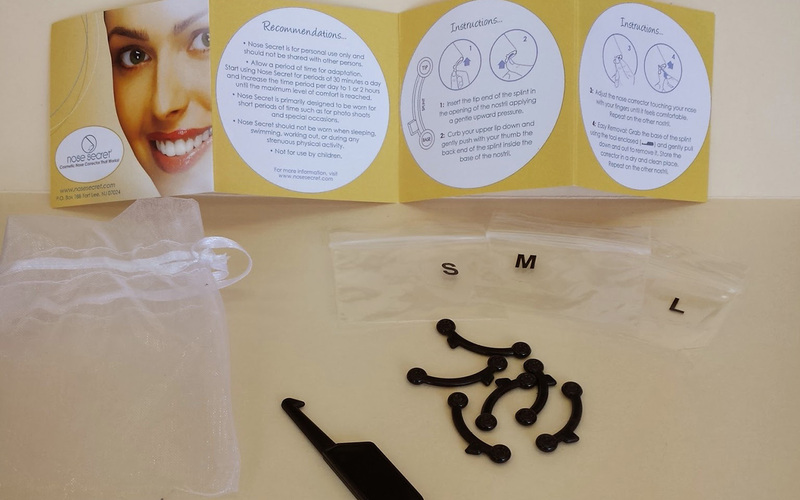 You can choose which kit based on whether your nose is, overall, on the large or small side of the scale. Then, when the Nose Secret kit arrives, you can choose form the three sizes included. For smaller noses, the XS, S and Medium sizes are included. For medium noses, choose from S, M and L. Those with larger or longer noses can opt for a choice between M, L and XL. Once you are happy with the fit and feel of your Nose Secret, wear them for short time each day, gradually expanding how long you wear them. As your nose straightens, you may eventually move up a size. Reorder the size of Nose Secret that fits best. That way if you lose one, you have spares! We just know you are going to love this inexpensive, comfortable, and hassle free nose job alternative, because it really works!